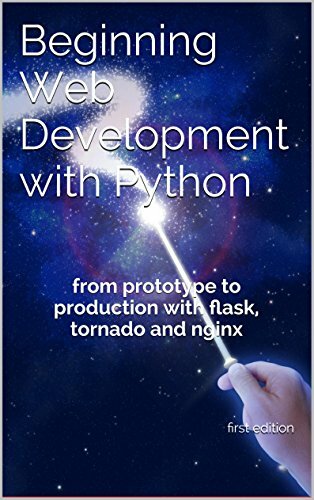 This book is for beginners or advanced in python and total beginners in web programming with python. You should have a basic python knowledge. 1. You know how to convert a string to a number and vice-versa ? 2. Can you write a simple for loop in python ? 3. Can you create a simple class ? If the answer to all above is “YES” then go ahead. If you don’t know, then you really should start with some basic python. There are lots of nice and free resources on net. It helps if you know a little html too, like “What does < h1 > do ?” for example. Flask is minimal and simple. You don’t get ORM’s, Admin Panels and other stuff that Django has out of the box. You can install a very cool admin panel with just 1 line of code: “pip install flask-admin” and integrate it with 3-4 lines in your app. It is easy to learn, powerful and combined with Tornado it produces awesome performance even on a small VPS of 1Ghz. We'll build a simple user-tracking database management system with pagination, admin panel, login, security.